Nobody wants substance abuse occurring within their company, but where do you start and how often do you drug test? These questions can be answered with a simple document, the Drug and Alcohol Company Policy. Your company policy is the framework in which your company depends on for structure and stability. Your company’s stance on drugs and alcohol in the workplace is a crucial topic that should be included in your policy to eliminate any misunderstandings. The following tests are truly differentiated by the time the tests are administered. After you have clearly defined the frequency of drug and alcohol testing within your company policy, it’s a matter of following the drug testing system that works best for you. Pre–employment testing is the standard and most common timing for employers to test possible hires. The reason behind pre-employment testing is self-explanatory in the sense that employers want an in depth understanding of who they are about to invest valuable time and money in. The company policy should clearly state this requirement and inform the individual the reasons and importance of safety in the workplace. Random drug testing can be an effective tool to significantly decrease substance abuse within your company. Non-DOT organizations have options for the frequency in which random testing is required. For example, you can test the desired percentage of your workforce once a quarter, once a month, or the timing that is most applicable to your company. The key is to ensure that the process and implementation of random testing is truly random and that each employee has an equal chance of being selected. Issues can arise if an individual feels as though they are being targeted, which can lead to legality issues for the employer. To avoid these inevitable problems, hire a third party administer and make sure your company’s policy is up to date. By having another company manage the selection process and having an effective company policy, discrepancies and legality issues will become less prevalent. Post–Accident testing is used when an employee is involved in a workplace accident. This testing it is essential to find out whether substance abuse played a key role in the accident or not. Due to that fact that different drugs have different detection windows, it is recommended to test within the first 12 hours of the incident. Post-Accident drug testing focuses mainly on determining whether the drug itself was a factor in creating an unsafe work environment. By finding out this information, you can properly assess whether an accident was derived from substance abuse or if processes need to be changed internally. 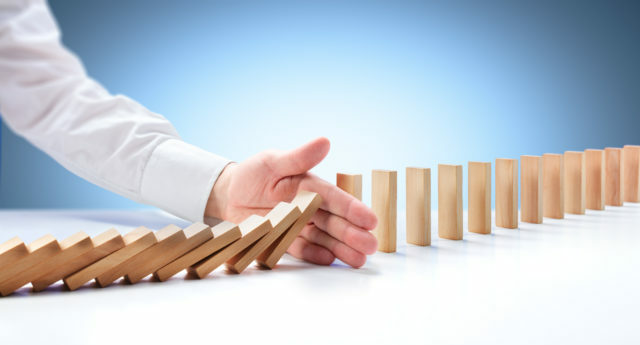 Your company policy should distinctly state your plan of action after an accident occurs. That way your employees are aware and prepared for your Post-Accident drug testing process. Reasonable Suspicion testing tends to be the most difficult to administer since the decision to test is very subjective. Due to the sensitive nature of this testing, employers need to make sure they are taking all factors into consideration and basing their decision to test from concrete evidence. Administrative employees should also be given the proper Reasonable Suspicion training that guarantees educated decision making when analyzing an employee’s sobriety at work. Some obvious signs to look for in an employee that may require testing could be odor of alcohol, unsteady standing, slurred speech or unusual behavior. There are drug testing options that allow you to receive instant results on your employee’s sobriety. The Breath Alcohol Test (BAT) for example, can be administered at work and will tell you if in fact your employee is under the influence. It is important to understand that to avoid legality issues, a Third Party Administer is recommended to conduct the test. A well drafted company policy must be in place as well. With the proper training and appropriate company policy, companies will obtain protection from legality issues by establishing what behavior and practices will not be tolerated and are in turn subject to Reasonable Suspicion testing. Return–to–Duty testing typically yields higher positive tests results due to the demographic of individuals being tested. When an employee who has had issues with substance abuse is caught, upon returning to work they must pass a drug test. Typically, an employee who was caught using a banned substance will be given tools to abandon their substance abuse and in turn create a safer workplace. Your company policy must state your Return-to-Duty drug testing process and can also include different programs and educational material that helps your employees stay substance free on and off the job. The implementation of an Employee Assistance Program (EAP) and Drug Free Workplace program (DFWP) can improve the lives of your employees by assisting them overcome obstacles such as drug and alcohol abuse. As you can see it is important to not only know the different reasons to test, but why and what drug testing can prevent. For all your drug and alcohol testing needs there are third part administrators such as Origin. Origin can construct a drug and alcohol company policy fit to your specifications and manage all your work verification needs. Don’t wait for an accident to happen, prevent it by putting your trust in Origin.